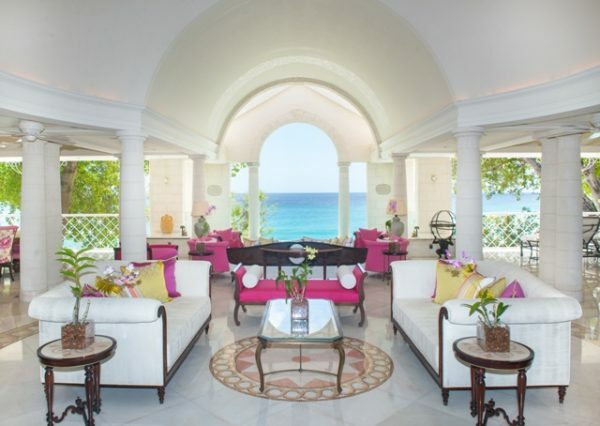 Aquamarine is a relaxed holiday home right on the water’s edge at Mullins Beach in the area of St Peter, on the idyllic ‘Platinum’ west coast of Barbados. The spacious patio offers the perfect place to sit and relax while watching the world go by, with unhindered access to the beach and the warm Caribbean Sea, and fabulous sunsets on a nightly basis. Great local amenities are guaranteed with a beach spa and spa a short 5 minute walk away, access to water sports are also nearby, and the historic Speightstown and Holetown lie less than 15 minutes from your doorstep. Although there is no pool at this property, the instant access to the sea more than makes up for it – perfect for cooling off or snorkelling and exploring the varied and colourful marine life out on the reefs. Aquamarine is the ideal rental property for families on holiday or groups of friends looking for a little slice of tropical paradise, and lots of beach all to themselves! Comfortable furnished, the bedrooms have ample storage space and air conditioning for your comfort. The master bedroom has a king size bed, en-suite (tub/shower and double vanity) and its own dedicated dressing area. Bedrooms 2 and 3 share a bathroom (shower only and double vanity) and have two single beds in one and a queen size bed in the other. The open-plan design ensures the space is used effectively, and the main dining/sitting room leads out onto the decking area. With chairs from which to admire the view or sunbathe, and a dining table for al fresco meals, the outside decking area has both shaded and open sections. There is maid/laundress, gardener and night watchman attending the property. The cook can be asked to prepare two consecutive meals per day: either breakfast and lunch, or lunch and dinner. The night watchman is shared with the villa next door.